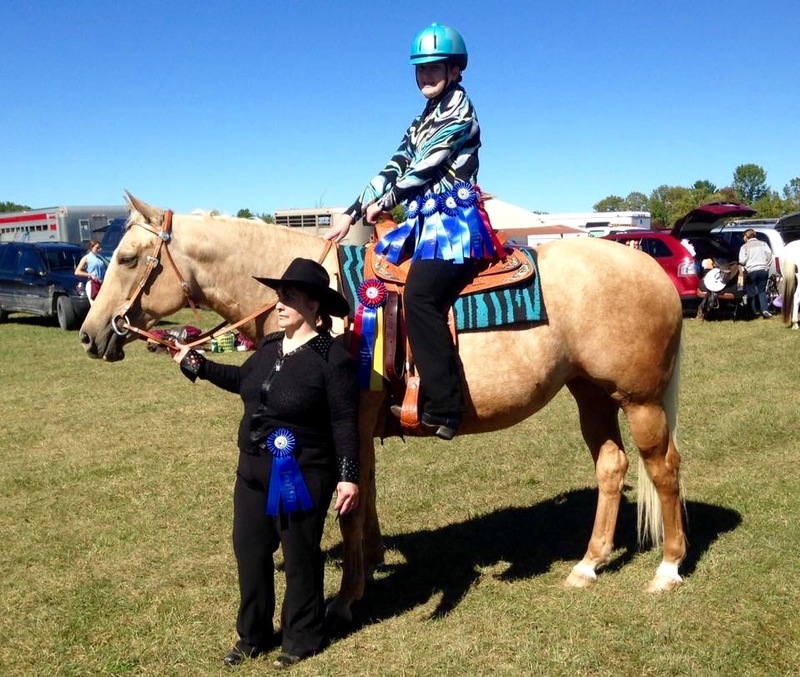 Two local residents placed well in the recent Greenville FFA open Western horse show. Taking place on Saturday afternoon, Kathy Hamilton and Emma Laraway had a strong showing. Hamilton, who owns a six year Palomino Quarter Horse, Spirit of Golden, won the blue ribbon in her Halter Class. Emma Laraway of Red Maple Farms rode Spirit in the entire Western walk/jog division won several blues which made Spirit and Emma Grand Champion of their division. A job well done by two novices in the show ring. It was Spirits and Emma's first show. Spirit has lived at Goss's Hosses in Middleburgh since she was seven months old. She was trained by Bonnie Goss and Jeremy McDermott.